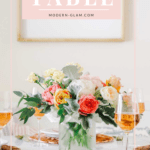 This Mother’s Day brunch table idea is perfect for treating mom on her special day. 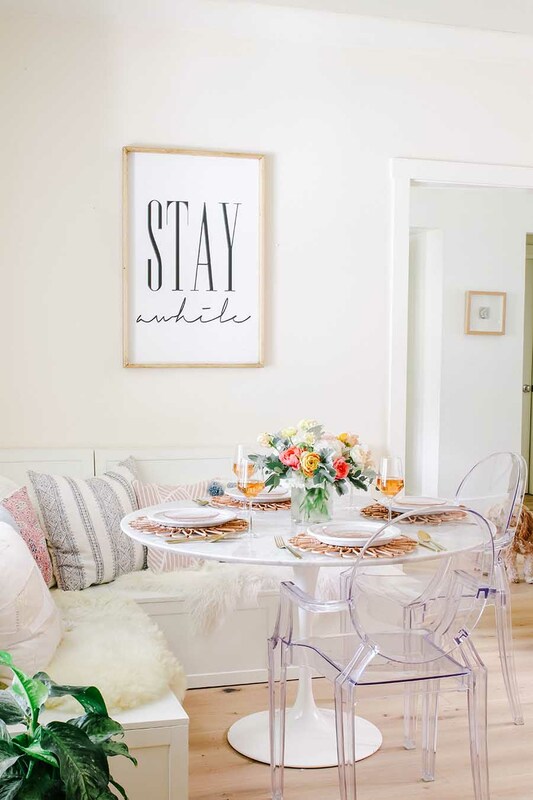 Whether you are gathering for a small intimate meal or hosting extended family, this casual table is perfect. 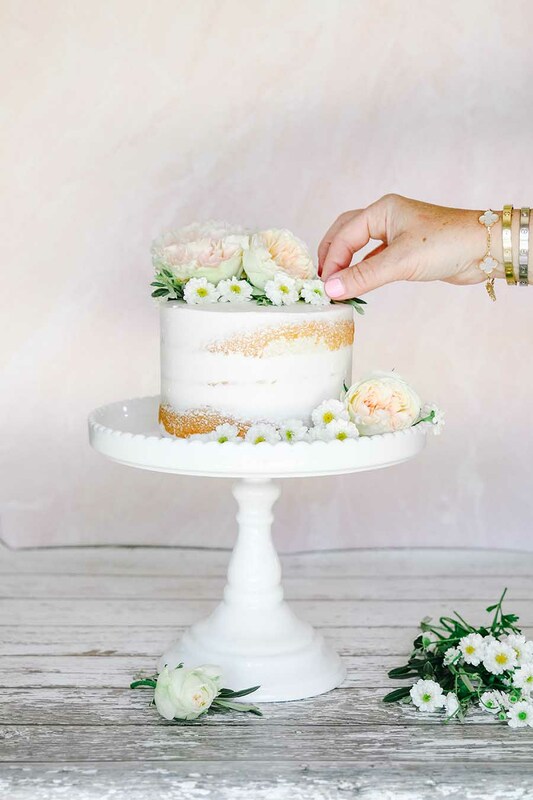 I am also sharing how to create a beautiful naked cake decorated with fresh flowers! 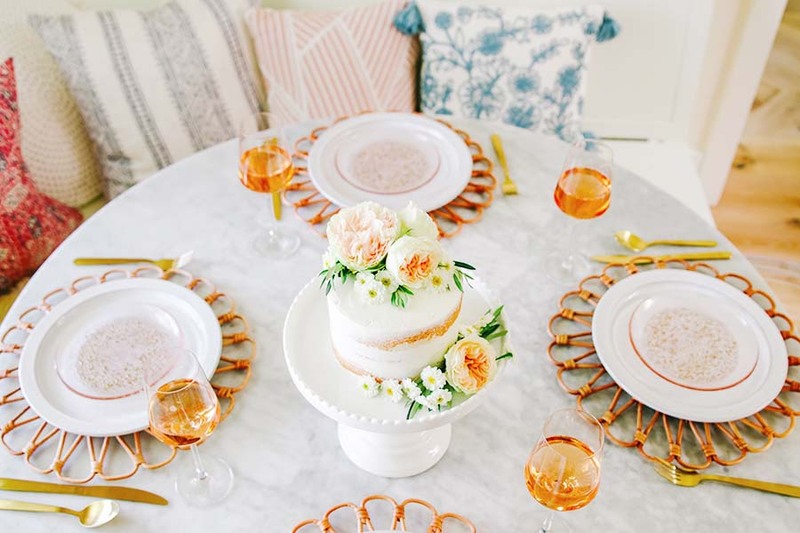 I am happy to join my friends in sharing some beautiful Mother’s Day tables and entertaining ideas with you today! Be sure to check out all the links at the bottom of this post and thank you to Bre for hosting! If you are new here, welcome! 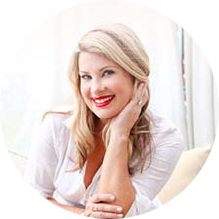 I am Ashley, wife and mom to two young kids. We live in the suburbs of San Francisco and we have been updating our California ranch since we moved in 9 years ago. 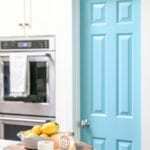 My husband is a contractor – follow along as we tackle our home renovation one project at a time! 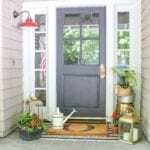 You can find a full home tour by reading my Modern Farmhouse Home Tour. A beautiful brunch is the perfect way to celebrate all the mom’s in your life. There’s something about a casual brunch for mother’s day that signals the beginning of warmer weather and summer fun ahead. 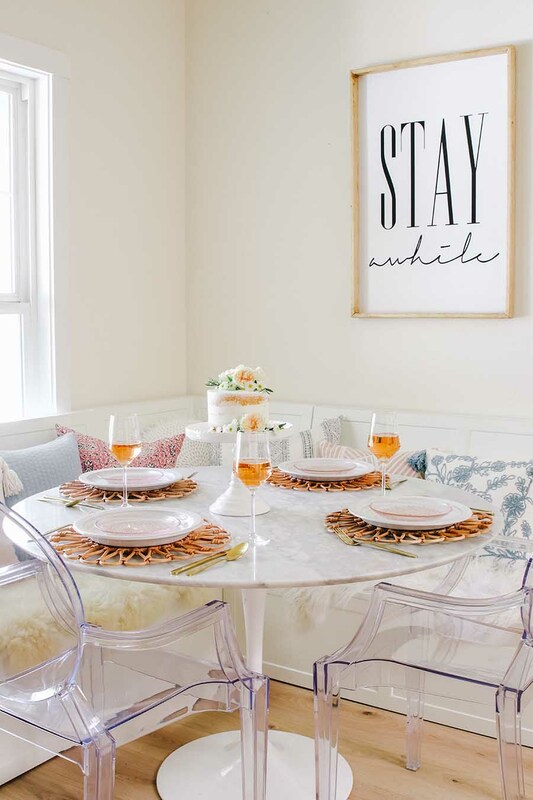 For this mother’s day brunch table idea I wanted to bring some of those summery vibes inside. 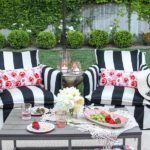 I shopped my home and gathered some brightly colored pillows and filled our banquette with them. Creating some soft seating with extra pillows and some sheepskin hides makes my favorite new sign all the more fitting for this kitchen nook. 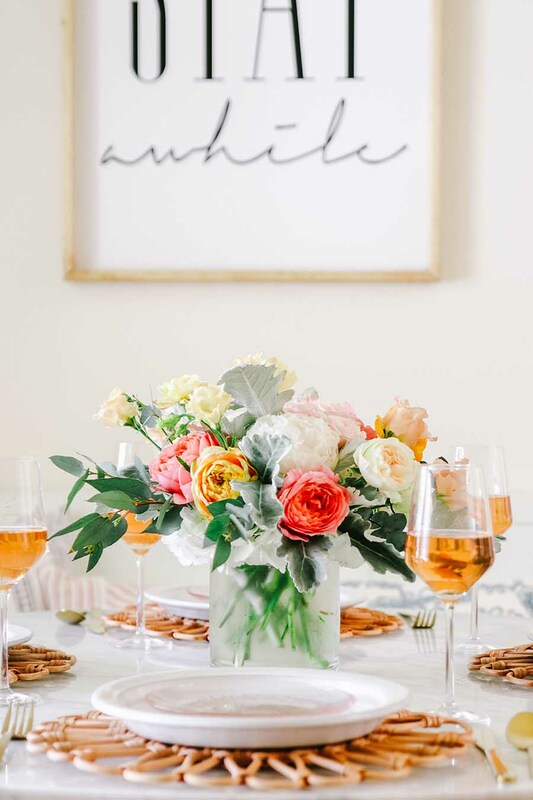 For this mother’s day brunch table I wanted the flowers to be the highlight. 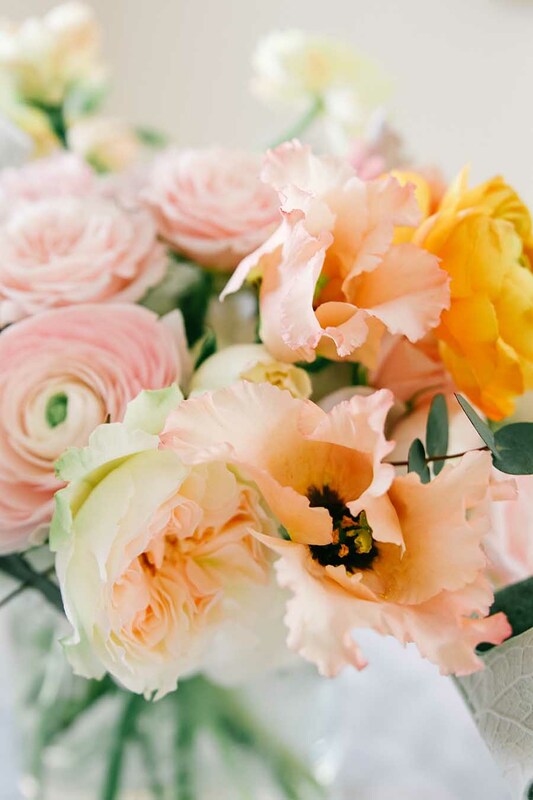 I chose fresh flowers in shades of pinks, yellows and corals to have a cheerful and happy tone. 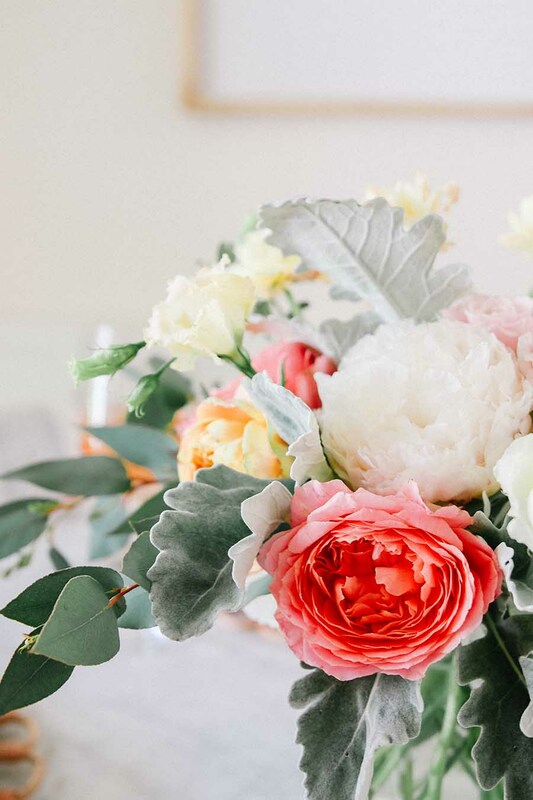 Whether you make your own arrangement or order one from your local florist, fresh flowers are the simplest way to create a beautiful table for mother’s day. 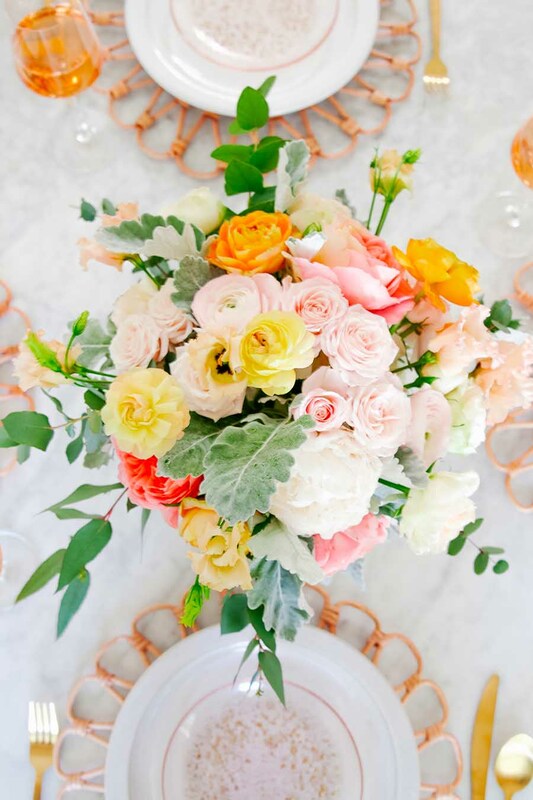 One of my favorite entertaining tricks is to have a pretty bouquet of flowers as the centerpiece and then send it home with the guest of honor. 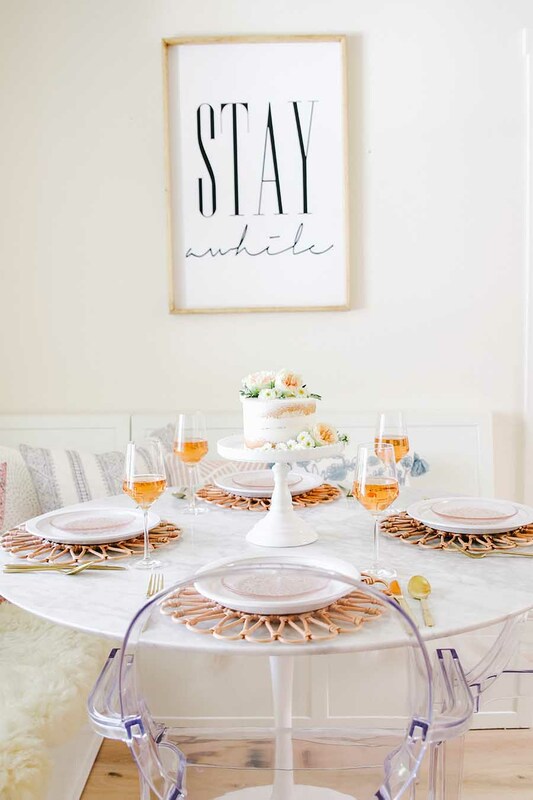 Whether it be a birthday or a special occasion like mother’s day, this is a great way to have a beautiful table that also holds a special purpose at the end! 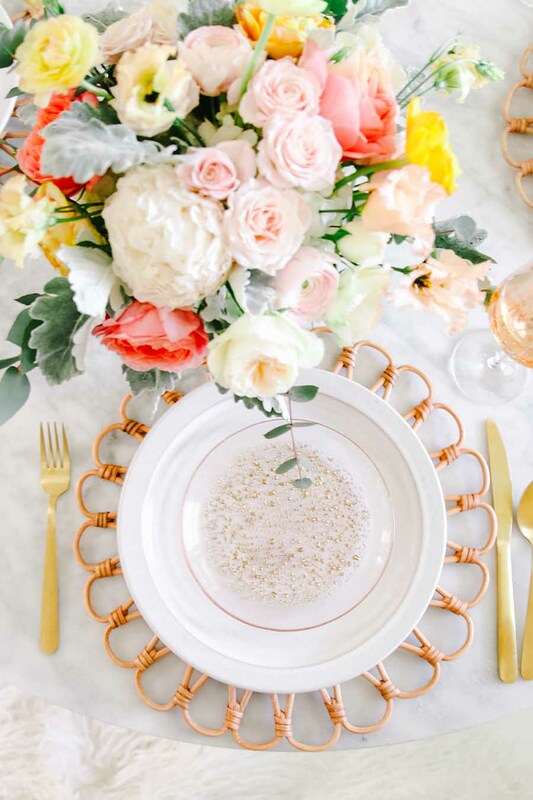 Now, since the flowers are the focus for this mother’s day brunch table, I wanted the place settings to be simple. 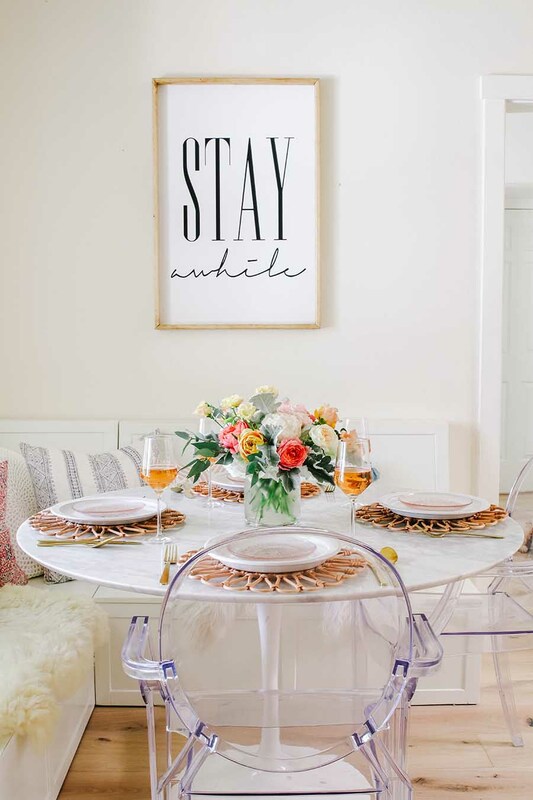 These rattan placemats go with the summery vibe and are light and airy. I also love the texture they add. 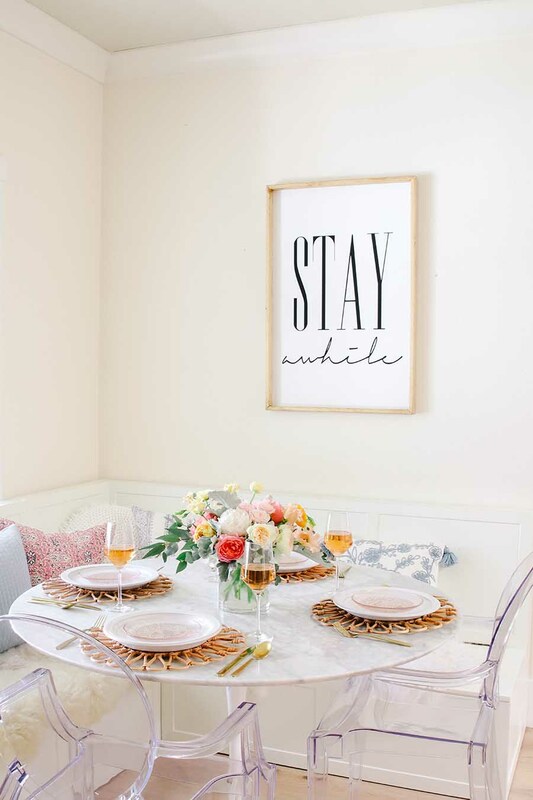 Simple white plates are my go-to for each table I create. They are perfect with a seasonal salad plate layered on top. 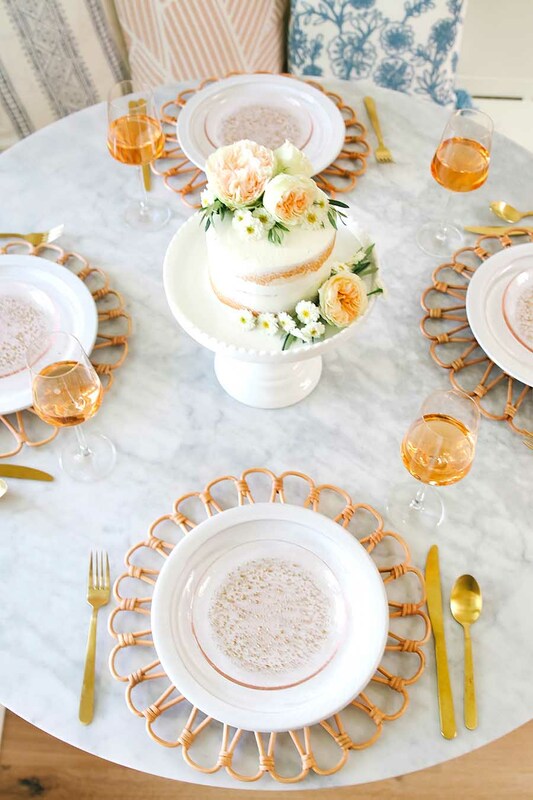 These pretty pink glass plates with gold accents will be perfect for cake! Speaking of cake, no celebration is complete without one! 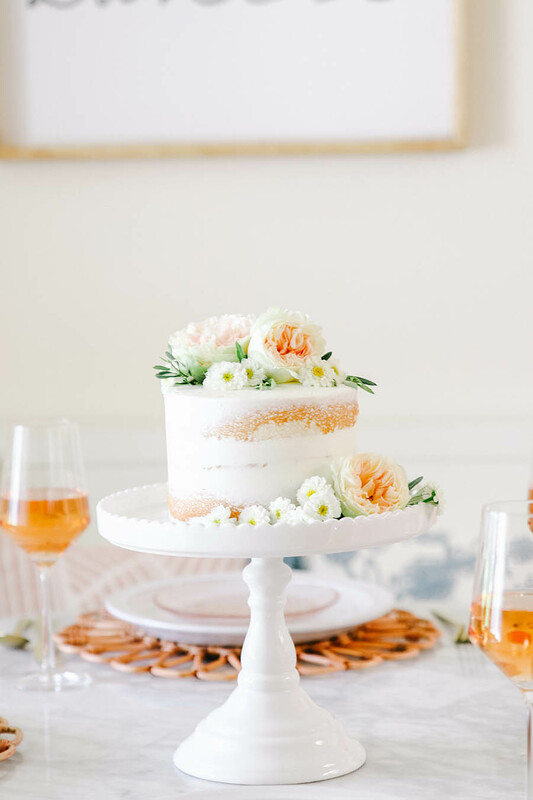 This naked cake is the perfect treat for mother’s day brunch. 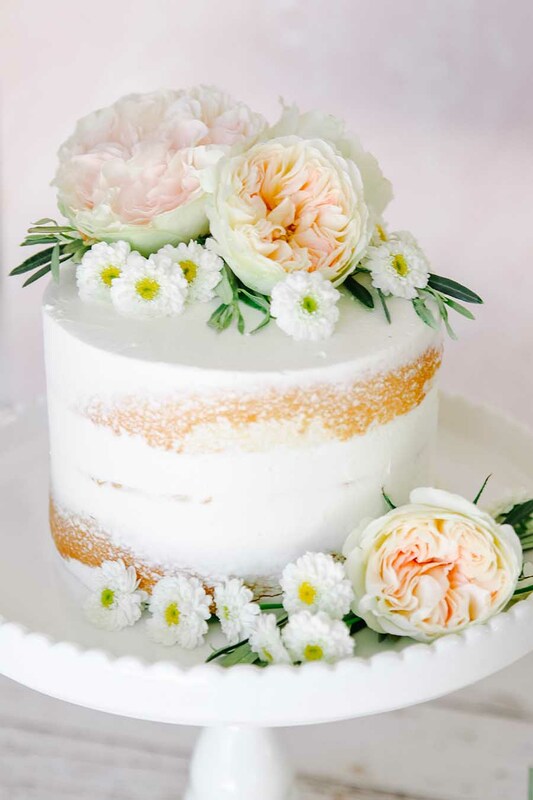 There’s something so feminine and fun about this cake decorated with fresh flowers. I wanted to create an easy cake for mother’s day brunch that was also simple and fun. I picked up a 6″ naked cake from a local bakery and asked for it undecorated. Then I put the cake on pretty cake stand and added fresh flowers! Easy peasy! The best part is, by ordering it undecorated, the cake was under $20 making it a total time saver! 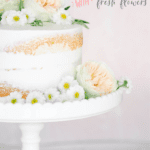 I will show you in detail how I decorated the cake using just a few fresh flowers. So, whether you are making your own naked cake, or ordering one from a bakery, the decoration is the most important part! 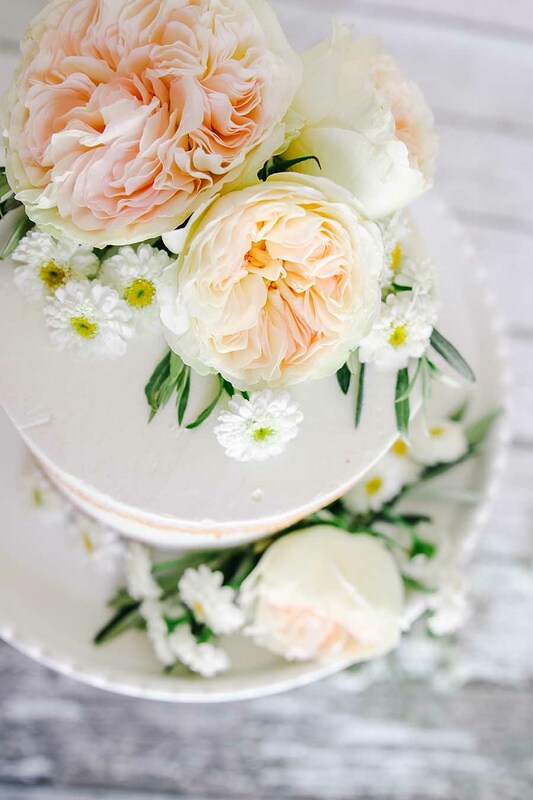 All you need to make your naked cake be the star of the show are a few fresh flowers. I chose to decorate this cake with garden roses, chamomile and some olive branches. For this 6″ cake, I used one branch of David Austen garden roses which had 5 individual roses on it. I also used one bunch of chamomile and 2 small twigs of olive from our tree in back. 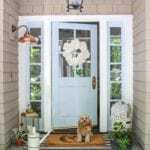 First, you will want to snip your roses with about 1″ of stem left on the flower. Next, place the larger roses on the cake first. I used 3 roses on the top of the cake surrounded by a sprinkling of chamomile blossoms. I trimmed the chamomile flowers down to the bud and scattered them around the roses. On the bottom of the cake, add a few flowers as well. The key here is to not go overboard. See, you just need a few flowers to make a big impact. Too many and it will feel like a wedding. 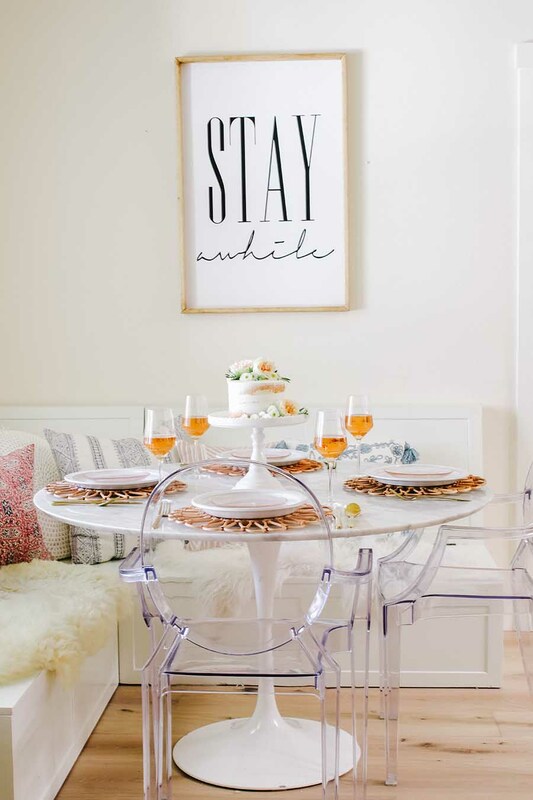 Which isn’t a bad thing, but for this mother’s day brunch table, simpler is better. 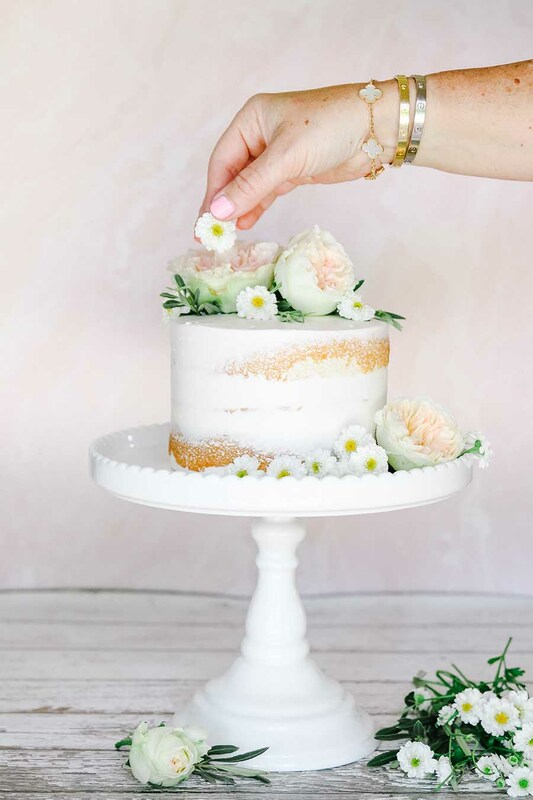 This naked cake with fresh flowers is the perfect ending to a wonderful mother’s day celebration!